Leo is such a charming energy. Overall, when the Moon is in the sign of Leo people can be more charming. The energy here is of the Sun, so it is said not to be a very strong placement for the Moon. The Moon again is what nurtures us, particularly emotionally. Leo is radiant as is the Sun. Here the Sun is said to be exalted. It would then be difficult for the Leo Moon as an energy to get enough nurturing as a result. The need for attention might be greater. The emotional rapport to feel secure means being included. 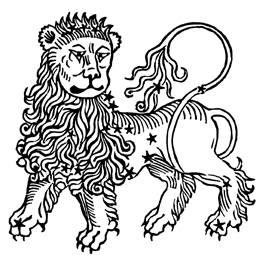 Leo is a sign that is known for it’s pride. That is why it is said that the Leo Sun makes for a good leader. This is true as a leader the energy of Leo charming rather then domineering. It makes it easier for others to follow. The energy is also associated with the care of children and the nurturing of creative outlets, performing arts or public speaking in particular. Therefore it is a wonderful time to make a speech or to throw a party. People will tend to put there best and most charming foot forward. Heck, if your single it might be a good time to put yourself out there. Leo energy is not only charming it can also be downright romantic. This is also a great time to really appreciate those around you. Spend time with your children. Play a game or take them to the theater or a show. The dramatic arts are a great way to appreciate the energy. In people when someone has a Leo Moon, there is a tendency to be dramatic or to crave the attention of the crowd, or someone in particular. So expect to see much drama when the Moon falls in the sign of Leo. The flair for the dramatic is another way to use the energy. Sports and sporting events are another way to use this energy. Pride is a big deal with Leo Moon. A day when the Moon is running through the sign, anyone could have some brush with something that could bring up the issue of pride. Maybe even related to your own pride. So besides going to the theater when the Moon is in Leo, consider a ball game or any other sporting even. All of these come under the energy of Leo. Throwing a party is also a great way to use this energy. It is not only rewarding to the host but also to those who attend the function. Everyone is a bit more social during the Moon’s time in Leo. The downside of this very “radiant” energy is the idea of “selfishness.” The tendency to be self-centered is also greater during the Moons time in Leo. Being more stubborn can also accompany this selfishness. Of course how the Moon in Leo affects you will have a great deal to do with your own chart and what it is you are going through at the time. But knowing these energies does go a long way to help set our lives. For example you are setting a date for your next function, maybe having people over for a ballgame or party? Using the knowledge of Leo Energy can help to make your function that more successful. It isn’t a guarantee, but surely it puts you in the right direction. For more predictive articles check in New Moon Predictions each month!